Today I am going to share another MUST HAVE book for your library by Gary Wayne. I’m also going to share a link to a cool new site that I have recently discovered through following the author of said book. First things first though. At the link to the authors site you will find the details about the book as well as very generous excerpts and descriptions about each chapter. Please take the time to visit Gary’s site Genesis 6 Conspiracy.com and explore it further. 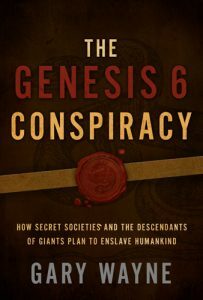 Gary Wayne’s book, The Genesis 6 Conspiracy: How Secret Societies and the Descendants of Giants Plan to Enslave Mankind, details the role of modern-day Nephilim in Satan’s plan to install the Antichrist at the End of Days and is full of much need to know details. He has dedicated 30 years of his time to study and investigate the past history and details of this topic before publishing his work on it and it shows. He supplies the reader with valuable information that is both useful and beneficial. The book is great in helping one in discussions as well as being a valuable tool as a study guide for your own personal studies. I don’t always agree 100% in all things of the book such as the Rapture timing but, because someone has another opinion on the timing of the Rapture, should not make one toss the baby out with the bathwater. If you do then you will miss out on important information. Mr Wayne never tells you what to think. In some cases he offers other opinions and thoughts on certain things and that is key to me when I choose a book to further my studies. That said, I keep Mr Wayne’s book at hand and revisit it often. I appreciate the extensive research and work he did in compiling all this valuable (especially for these times we are now in) information. I am a nutshell kind of girl. I have read all sorts of works and have also studied several other books but, it is so nice to have the brunt of it all in just one book. It really helps me to be able to have just one book (other than God’s word of course) to go to when I have trouble remembering certain details. I truly mean it when I say The Genesis 6 Conspiracy is key to add to a personal library of those who dig deeper into matters. There are giants among us, passing largely unnoticed, intent on carrying out a secret plan to enslave all humanity. They may not look like giants today, but their bloodlines extend all the way back to the Nephilim—the offspring of angels who mated with human women—described in Genesis 6 when giants roamed the land. Gary Wayne, author of The Genesis 6 Conspiracy: How Secret Societies and the Descendants of Giants Plan to Enslave Humankind, details the role of modern-day Nephilim in Satan’s plan to install the Antichrist at the End of Days. 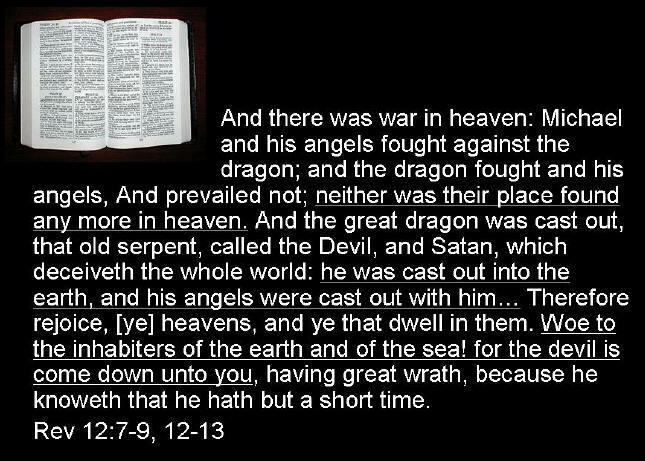 When God cast the angel Lucifer and his followers out of heaven, Lucifer set into motion a scheme to ensure the Nephilim survived. Why? Because from the bloodlines of these Nephilim the Antichrist will come. To keep his plan alive, Satan has enlisted the loyalty of secret societies such as the Freemasons, the Templars, and the Rosicrucians to conspire in teaching a theology and a history of the world that is contrary to the biblical one. This Genesis 6 Conspiracy marches toward the Great Tribulation, when the loyalty of the Terminal Generation—this generation—will be tested. 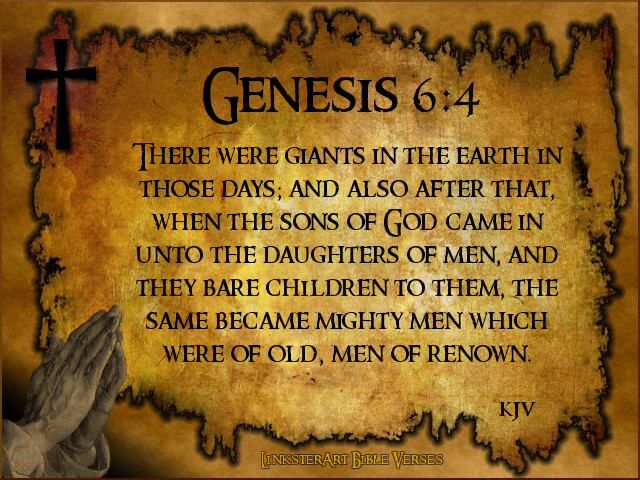 The Bible, along with many other ancient sources, clearly records the existence of giants. Wayne provides copious citations from many society insiders, along with extensive Bible references, other religious references, and historical material to bolster his contention. What he uncovers will astonish you—and it will challenge you to prepare for the fulfilling of God’s promises. This one hour video below by Now You See TV is an excellent compliment to the book! I saved the link to it so that I can listen to it a few more times. In it Gary takes us on a verbal tour of his book in just one hour. You are able to see just how informative his book is and why it is so interesting! Upon perusing the Now You See TV‘s site as well as Now You See TV’s YouTube site I found TONS of other wonderful information and videos to watch. Please also take the time to visit their site and their videos. You won’t regret it! Now You See TV’s post about the video is here at this highlight if you want to view the video there but right below is the actual video as well. The Awakening Liberty Show Archive My guest was Gary Wayne, author of The Genesis 6 Conspiracy: How Secret Societies and the Descendants of Giants Plan to Enslave Mankind, details the role of modern-day Nephilim in Satan’s plan to install the Antichrist at the End of Days. Gary Wayne is a Christian contrarian who has maintained a lifelong love affair with biblical prophecy, history and mythology. His extensive study has encompassed the Bible and Gnostic scriptures, the Qur’an, the Bhagavad Gita, Gilgamesh and other ancient epics, language etymology, and secret society publications.